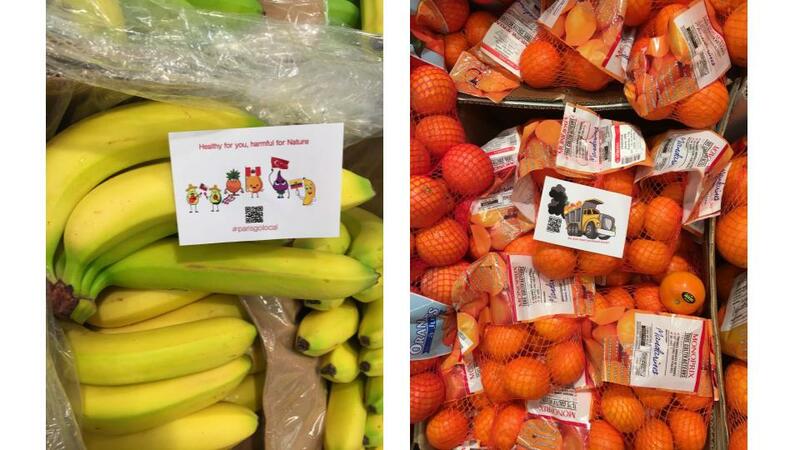 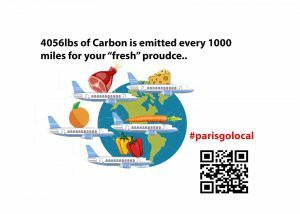 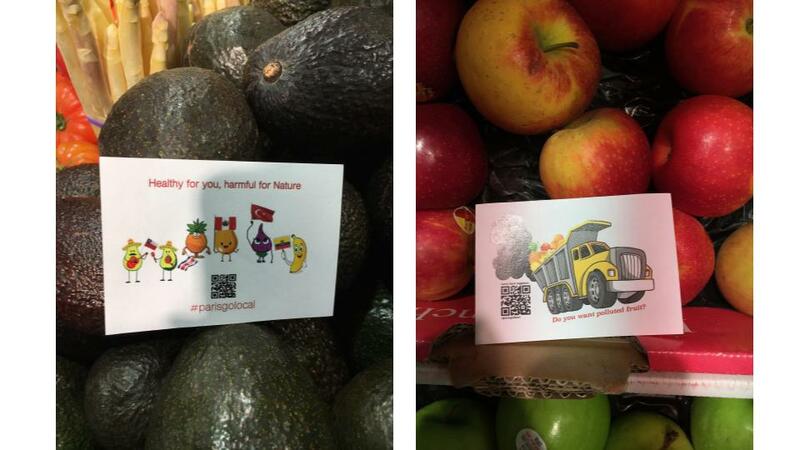 Spreading awareness throughout markets in creating stickers to advertise a local grocery market in Paris. 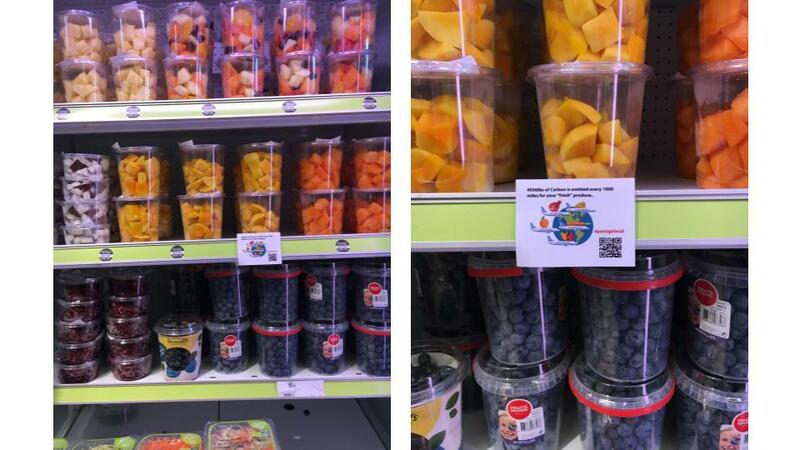 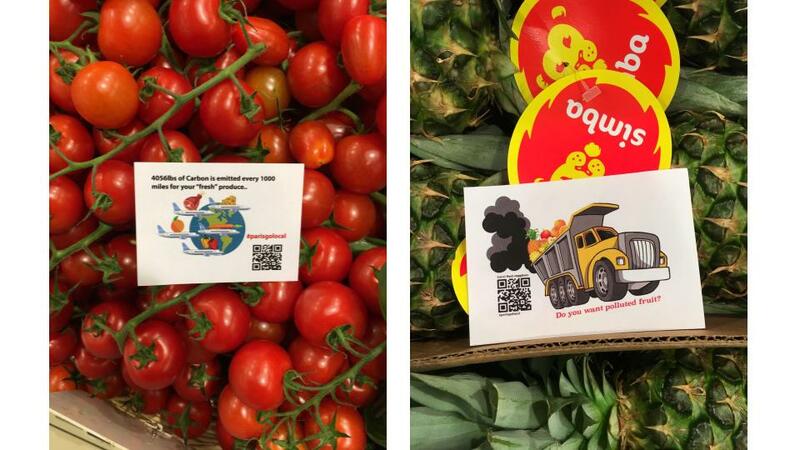 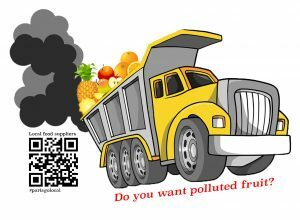 Url codes on each sticker to show there is a healthier option instead of purchasing food that is being transported by train, plane, trucks, boats, etc which creates food miles. 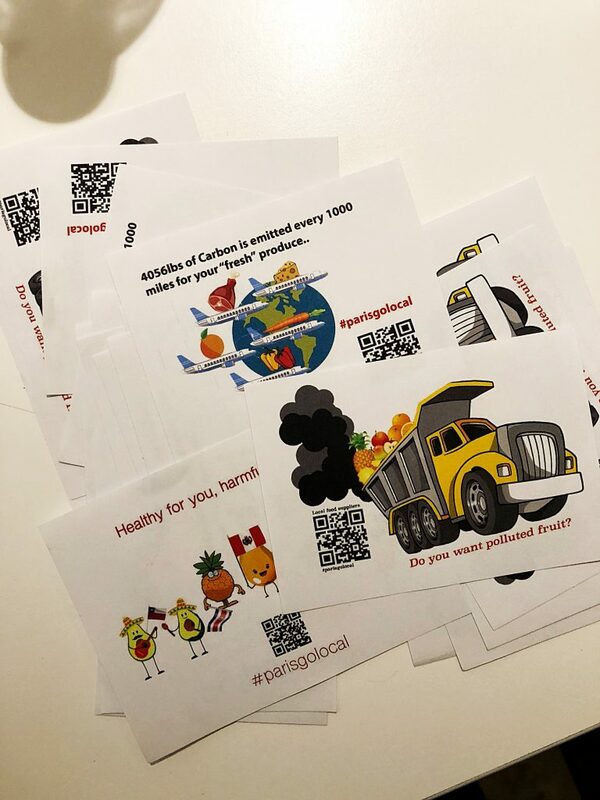 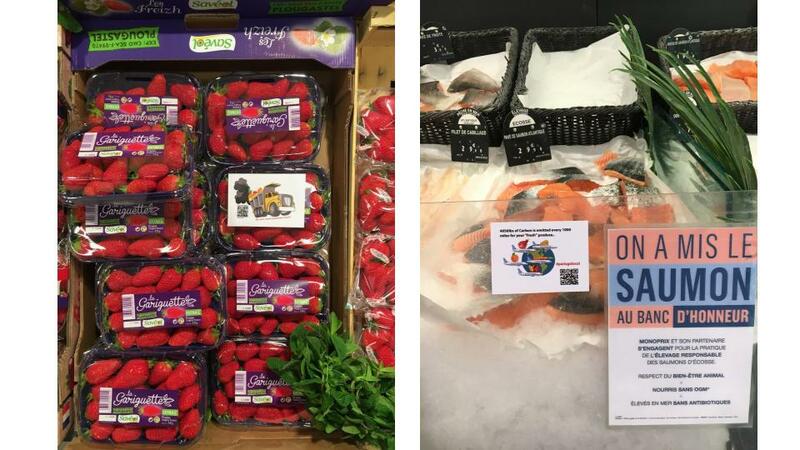 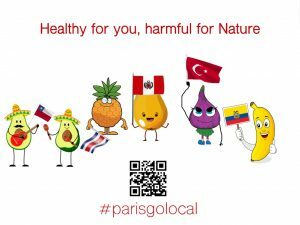 Every sticker has a new hashtag created by us and the barcode of a local farmer food (la ruche qui dit oui) where you could get all the fresh, local groceries.